As BMW’s initial entry into the luxury SUV segment, the BMW X5 stands as a pinnacle model for the automaker. And Chicago drivers hoping to get behind the wheel of this stunning luxury SUV are in luck, as there are plenty in stock at Perillo BMW. Browse our selection of BMW X5 models below to find the one that suits you, and then get in touch with the dealership to arrange a test drive! 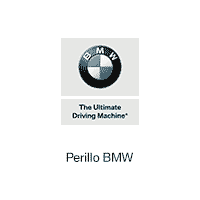 Over the years, the BMW X5 evolved and adapted to meet consumer demands, and Winnetka drivers can find the latest evolution at Perillo BMW. Drivers looking to save may even find an affordable pre-owned BMW X5 in our used vehicle inventory. Schedule your test drive today to discover what it looks like when one of the most iconic automakers in the world looks to redefine the crossover. Our BMW X5 accessories can help you customize your choice.